AS the great Fred Durst once said gotta keep hauling' hauling' hauling'... or words to that effect anyway. I may be misquoting him slightly. 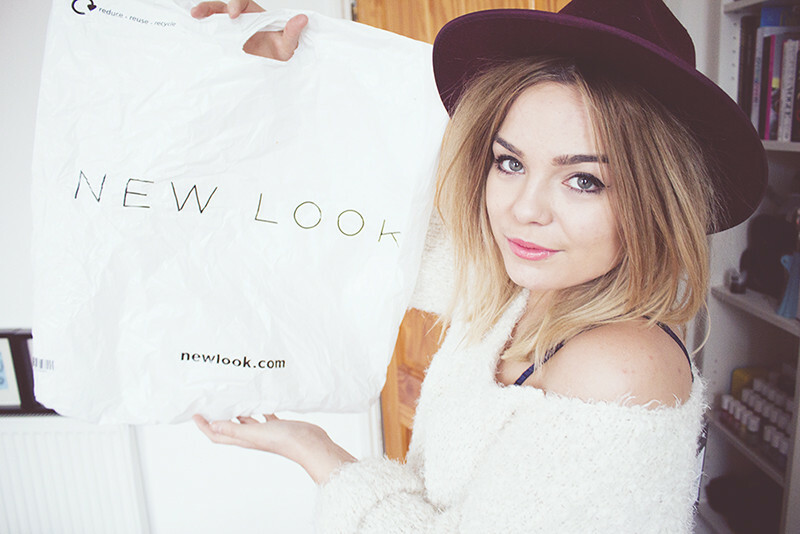 But I decided to film a haul video of some of the things I picked up a few weeks ago from New Look. I've featured some of the items in this video already on the blog so check back the past week or so to see how I've styled some of the pieces. Watch above or watch on Youtube. Please remember to subscribe to my channel and like the video if you enjoyed it! I'll be posting my videos on a Sunday for the foreseeable future so that is the best time to check back for new fashion related videos. I do plan on doing blog style videos during the week on the odd occasion so if you like my vlogs... just subscribe if you wanna be updated haha! You guys probably know the drill by now! Hope you like it! Loved this video and love your hat! love this video, new look isn't somewhere I have looked for a long time, but I think I ought to. The baroque tee shirt is gorgeous! You've definitely trawled through the loads of stuff in New Look to find this great stuff! I especially love the Baroque sheer top - what size did you get it in?, cause I love the oversize fit you've got it in! Lovely haul, I love the jumper and the snood is very on trend! I love the hats you're wearing now you've got shorter hair! They really suit you! I don't often have much faith in New Look and never seem to find anything I like, but I may have to have a quick look on their site now, oops. Love many things, thank you for showing! I think I love you even more just for the Fred Durst reference! Love the sweater, I just bought a similar cardigan. Have a nice sunday, my dear. I really like everything you got! H&M has a disco pants dupe too at the moment. They're like 30€. I'll have to check out the video when I am not at work. Love the photo of you in your hat though. keep the jumpers and the kimono they are beautiful!! Great video, I love all of these pieces! I've really enjoyed your last couple of videos, you're definitely becoming a natural on the camera and we really get to see your personality shine out! I love the sheer shirt, I think its gonna be amazing with disco pants too!! Loved this haul, went to find that check skirt straight away! Great haul and love your hat! Great haul video. Where is your hat from? Lovee this post, you look gorgeous! Nice post. Keep sharing like this. Now in case of any data recovery problem you can visit the link shared. I really enjoy it.Thanks for the great work! Cool blog.. I really enjoy it.Thanks for the great work! Cool blog. I am pleasant to being article such beneficial article for us, Thank you!